New Zealand–born soprano Kiri Te Kanawa famously made a last-minute Met debut as the demur Desdemona during a 1974 Saturday radio broadcast of Verdi’s Otello. 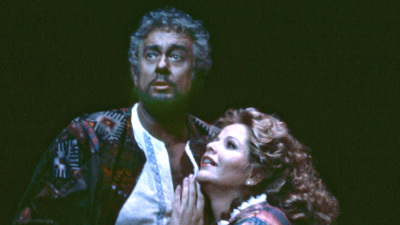 She returned to the part, appearing opposite tenor Plácido Domingo, one of the most celebrated interpreters of the opera’s commanding title role, for this matinee broadcast in 1988. 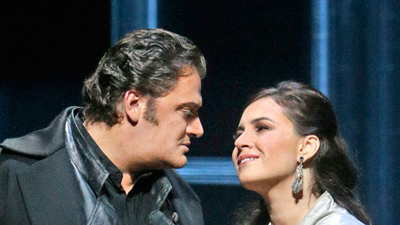 As the sinister Iago, who poisons Otello’s mind and drives him to murder his innocent wife, bass Justino Díaz rounded out the principal trio, and James Levine took the podium to lead the Met Orchestra and Chorus in Verdi’s explosive late masterpiece.